Grief, Betrayal & Divorce are periods in life that can be traumatic and stressful which may compromise physical health over time. The loss of a loved one through death or divorce can create anxiety, grief, guilt and a variety of emotions which decrease your ability to cope with stress. During this time, it is important to take care of the body, mind, and spirit. It is also important to evaluate your nutritional status, because if you are nutritional depleted of minerals, vitamins and amino acids, the recovery from stress is prolonged. Natural therapies have been around for centuries and continue to be gentle, natural, effective and safe. 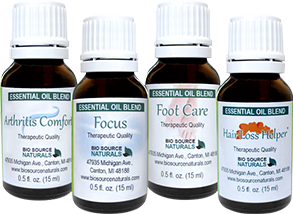 Herbal stress relievers, flower essences, essential oils help restore emotional balance quickly and are useful at the early onset of stress related ailments. 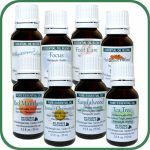 Flower Essences designed to calm the nervous system. Lezlie Cebulski, traditional Naturopath and Emotional Freedom Technique practitioner specializes in helping clients quickly improve his or her self-image with lasting results. She helps clients release the useless forms of guilt, fear, pain of grief, anxiety, trauma, anger and self- doubts. She advises clients on nutritional support to heal and relax the body, enhance sleep, increase energy. Spiritual guidance is available, when appropriate, as a part of the healing process. Many clients report feeling much improved after 3- 5 sessions. Note: Lezlie Cebulski, ND, EFT-ADV, RM, is not licensed as a mental health professional.